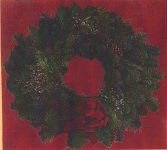 2012 Annual Wreath Sales Begin Now! Wreaths will be ready for pick up on Saturday December 1st. Families will pick up all the wreaths they've sold and be able to deliver them that weekend. Lets have a great Wreath Sale this year and be able to do amazing things with and for our Scouts!! It is our hope that our fundraisers will enable us to continue a new tradition of having at least half of proceeds from our three major fund raisers go directly to individual scout accounts. Those accounts can be used to purchase scouting items such as scout books and uniforms/clothing, pay for special scouting activities (like sporting events and the Family Fun Center), as well as pay for camp costs.